Our Campsite & Village is in Lacona, in the south eastern part of the Island of Elba, about 400 metres from the sandy beach bearing the same name. From Portoferraio it only takes 10 minutes by car to get to Lacona. Once off the ferry, just follow the "All Directions" sign, then the one for "Porto Azzurro" (yellow route). 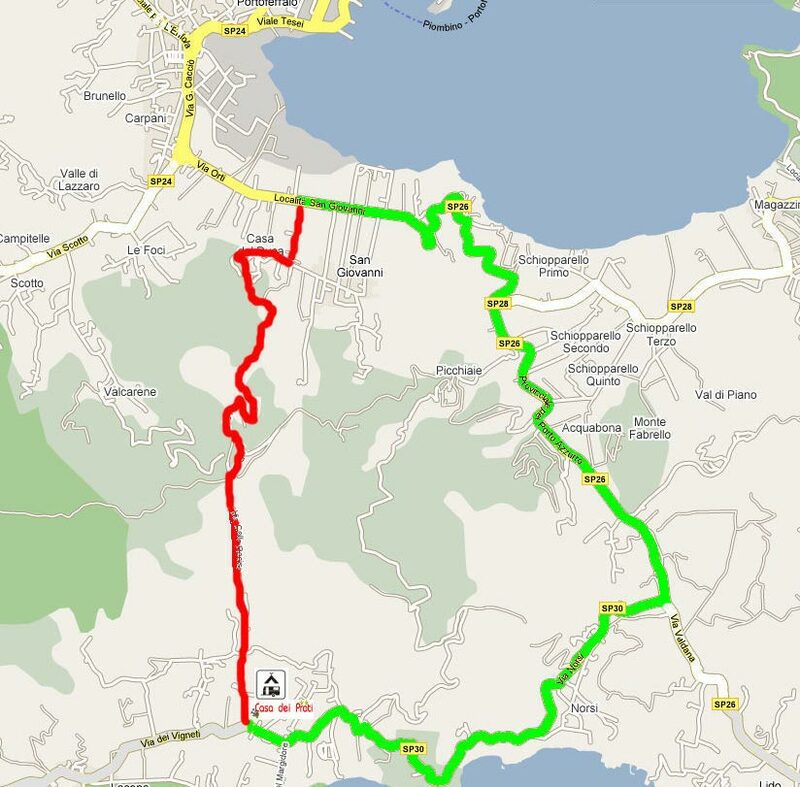 - follow the signs for Porto Azzurro/Capoliveri then turn right at the junction about 8 kilometres further along (green route). 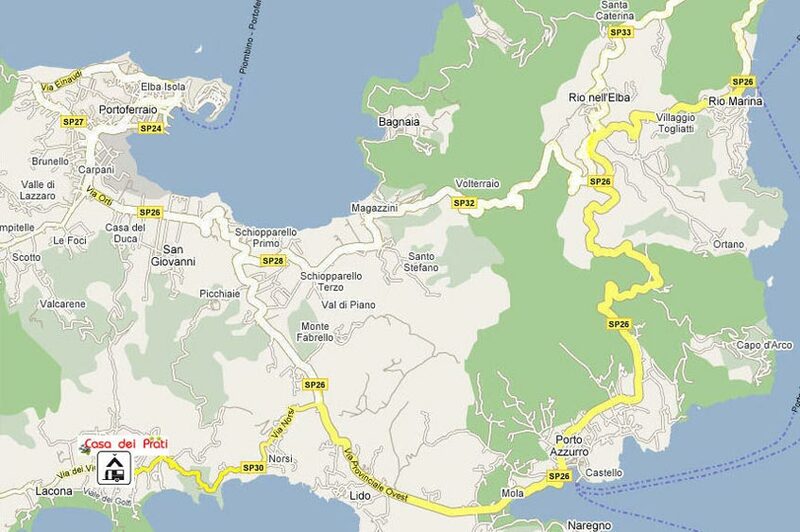 Those disembarking in Cavo or Rio Marina should follow the 3rd route (yellow). Or simply click the following coordinates into your Sat Nav: 42° 45' 55,38" N - 10° 18' 50,80" E.